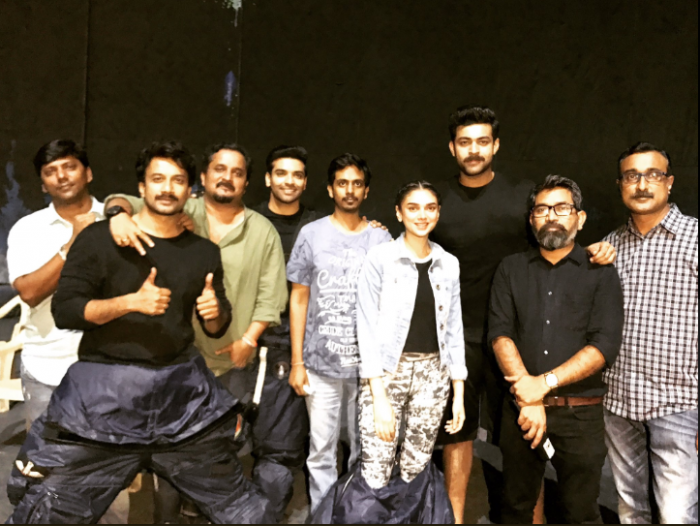 While the makers of the film begin with the next schedule of the shoot, Varun Tej starrer gets a release date. Actor Varun Tej as we all know has geared up with the shoot of his next under the direction of Sankalp Reddy. Said to be made on a high budget, the film went on floors in the month of April. The makers of the film have roped in Hollywood crew to bring the best on technical standards. The shooting of the film kick-started in Hyderabad and Bulgaria. The makers of the film recently wrapped up the first 35-day long schedule of the film and will soon begin with the third schedule. Mega Prince Varun Tej has teamed up with director Sankalp Reddy of ‘Ghazi’ fame for a space drama, which is one of the much awaited films of the year. While the makers of the film begin with the next schedule of the shoot, Varun Tej starrer gets a release date. Yes, the makers of the film have locked December 21st, 2018 as the release date of the much-talked-about space drama. As this is a space backdrop film, in the previous schedule of shooting, some stunning action episodes were shot under the supervision of Hollywood experts. Hero Varun Tej had gone an extra mile for the film and performed some stunts without a dupe. The film is produced by Rajeev Reddy and director Krish jointly and the makers are eyeing year-end release. Besides Aditi Rao Hydari, the film will also see actress Lavanya Tripathi.